Book Review: It is my turn for Book Club this month and we are reading one of my favorites of the last 5 years: “The Last Child” by John Hart. John Hart won the Edgar Award for this novel and his previous one as well. The only person to win the Edgar Award for consecutive novels, Hart weaves the disappearance (and assumed murder) of his twin sister Alyssa with the exploration of the dark side of his hometown. One of my favorites – just make sure to not let the prologue throw you. The prologue is very slow, but once you get into chapter one and two the mystery unfolds and the action moves faster. 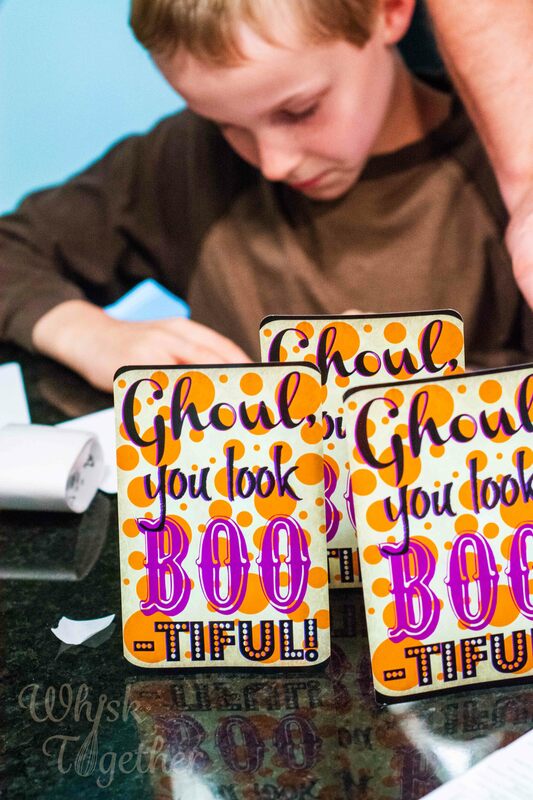 Craft: So many Halloween crafts and goodies! 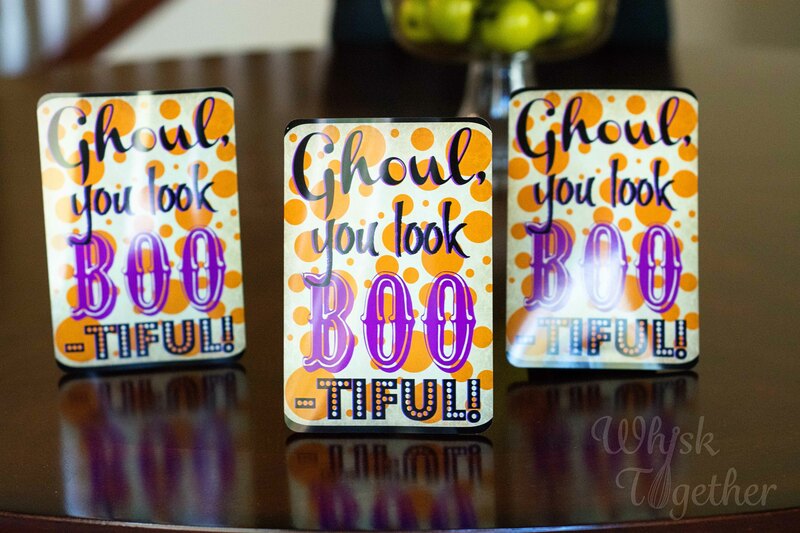 I am placing these at each seat at our MOPS table on Monday as a little treat for Halloween and a reminder that each one of our ladies is beautiful (inside and out!). 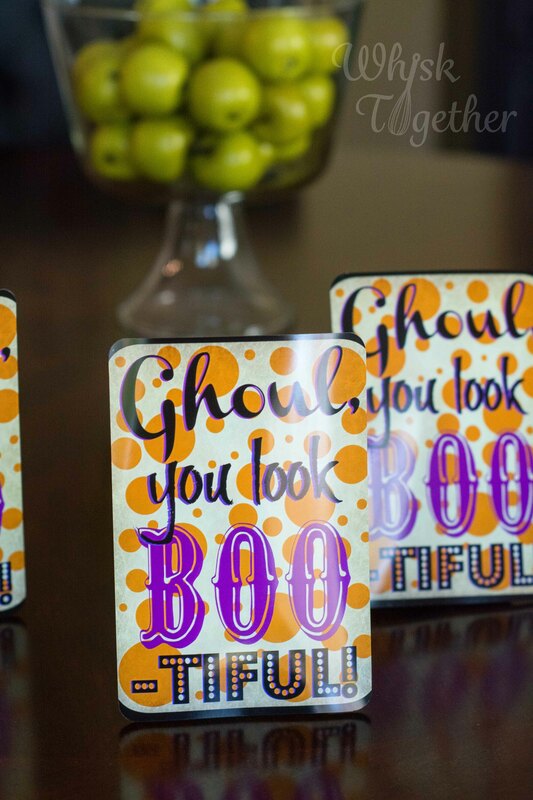 You could use them as a fun neighbor gift, tag for a gift, place setting for Halloween, a teacher gift, frame it for your BFF, etc. The kids and I put these together in less than 10 minutes. 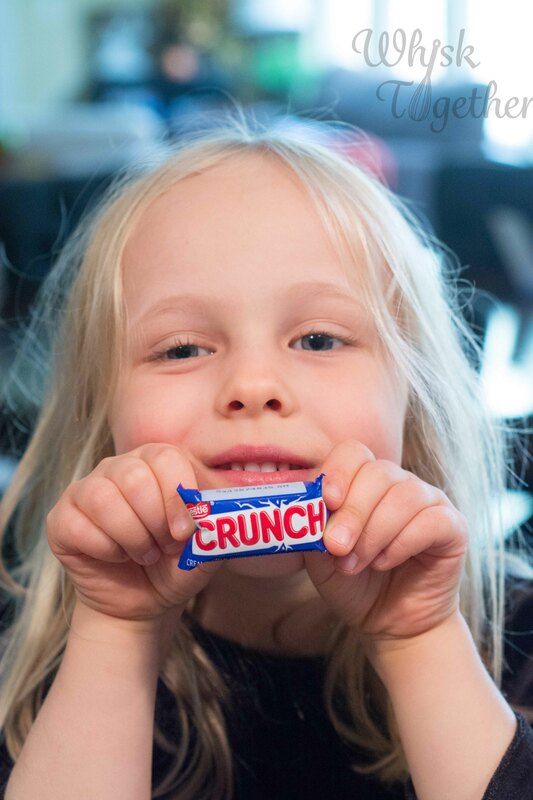 Crunch bars work the best because they have a tight wrapper and 90 degree corners inside. 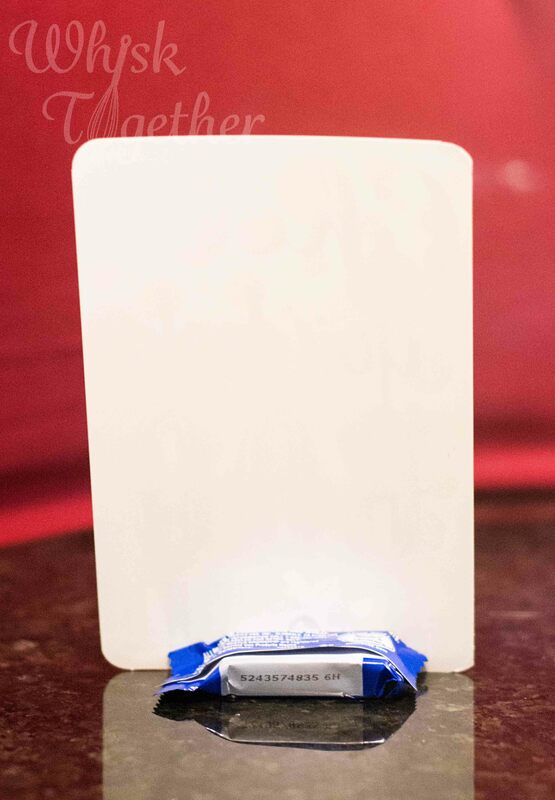 Milky Way and Snickers WILL work, but I found them difficult with the loose wrapper and rounded edges. Any candy in the shape of a square or rectangle should work! Even DOTS boxes! *Alternative Idea: Print on your printer or the print center and frame it into a photo frame. You could even add glue dots to the outside of the photo frame and use candy, candy corn, etc. for decoration. 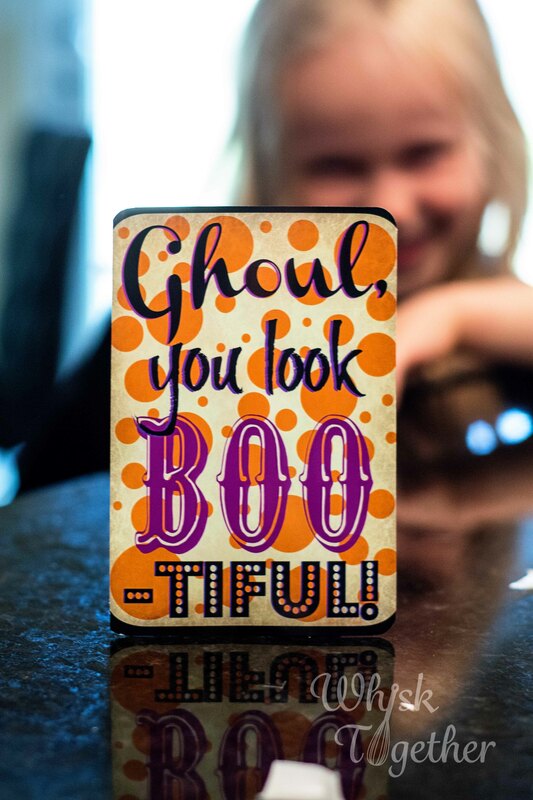 Print the Halloween Printable on cardstock or photo paper or have a photo center print it for you. Use the Rounded Corner Punch to round the corners if you wish. This was entirely optional. 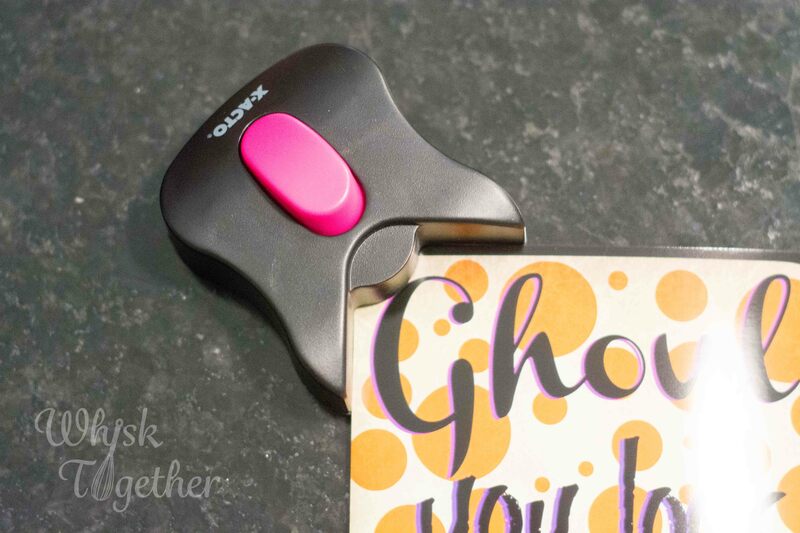 Place glue dot on the back center of the printable. Adhere the long, narrow side of the candy to the printable. Stand it up! Hand it out! I love John Hart! I keep hoping he will come out with another novel… I lived in Salisbury, NC so it’s fun reading about the area. These are adorable. 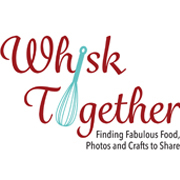 Your mops group will love them. Miss you! I was just looking at his FB page. It looks like he is getting ready to publish a NEW book! It is called Redemption Road and already has a cover. Wait… found it on Amazon. May of 2016.